If you have a sports watch, you will find different operation instructions than dress watches. 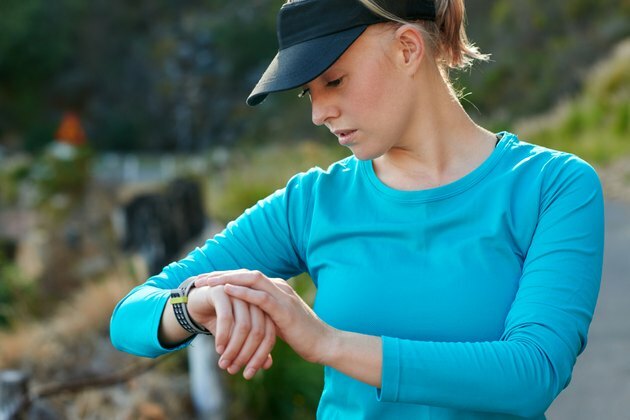 Features you are likely to find on a sports watch include digital display, water resistance, alarms, timers and a backlight. Some examples of manufacturers that produce sports watches include Timex, Casio and Coleman. For specific operation instructions for your model, refer to your user's manual. If you are unable to operate your sports watch, contact the manufacturer for assistance. Set the time and date of your sports watch. The "Set" or "A" key found on the watch will allow you to change the time and date when pressed. After entering the set mode, you need to press either "C" or "Mode" to enter the correct time and date. The "A" or "Set" button will be pressed again when the correct information is displayed on screen. Change modes. A sports watch allows you to toggle through different modes. On Casio, Timex and Coleman watches, the mode button is located on the left lower side of the watch. Each push of the button causes the watch to enter a different mode: standard, alarm, chronograph and timer. Activate the alarm. While in the alarm mode, set a daily, monthly or one time alarm. Enter the hour, minutes, month and date before pressing the "Set" or "A" key. To stop the alarm once it goes off, most sports watches request that you press any key. Use the "Start/Stop" key for the timer and chronograph modes. When you press "Start/Stop" while in the chronograph mode, the stopwatch will count up by hundredths of a second until you press the button again. While in timer mode, the "Start/Stop" key will display a countdown. Press the backlight button. When you press and release this button, the backlight stays on for several seconds. By holding down the button, it can cause the sports watch to go into night mode and stay lit. Remember to follow any water resistance warnings. The user manual will provide a certain depth that is safe for the watch.